One of the biggest announcements at DockerCon 2017 was the launch of Multi-stage Builds. It’s available in Docker version 17.05 onwards and is one of most exciting features to come out. In our last webinar, we demonstrated how to use the new Docker Multi-stage Build feature to create advanced pipelines using a single Dockerfile. 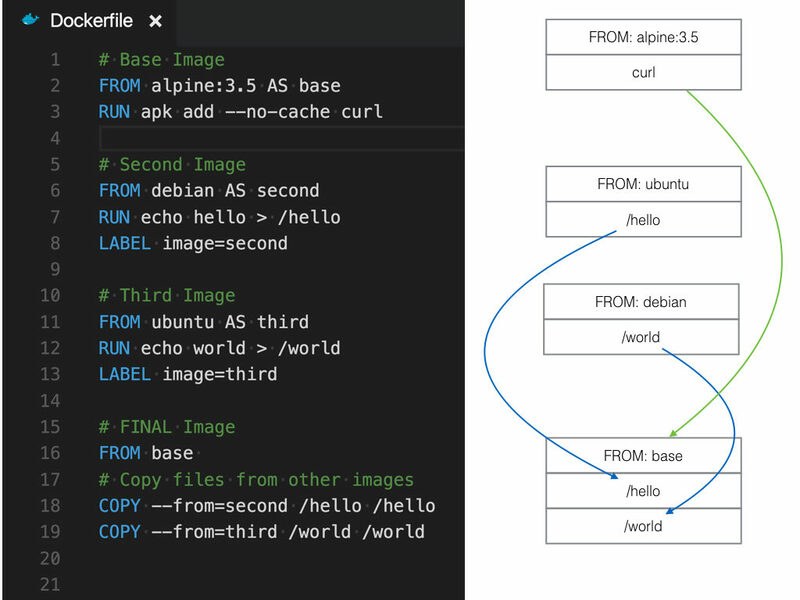 When we create a new image we want to include the basic runtime, some configuration, and the application itself. However, we often build our image with additional tools/ packages, such as compilers, debuggers, test frameworks, profilers, build artifacts, etc. We end up with an image that’s 4-10x bigger than we need to run our application. Docker introduced multi-stage builds in their latest release. It allows you to build smaller images, and separate build into stages. For example, in the first stage you can create the complete build environment and in the second stage, create the minimal runtime environment using a single Dockerfile. In another example, Alexei showed how to create a Go Multi-stage build using the following open-source project called Pumba. 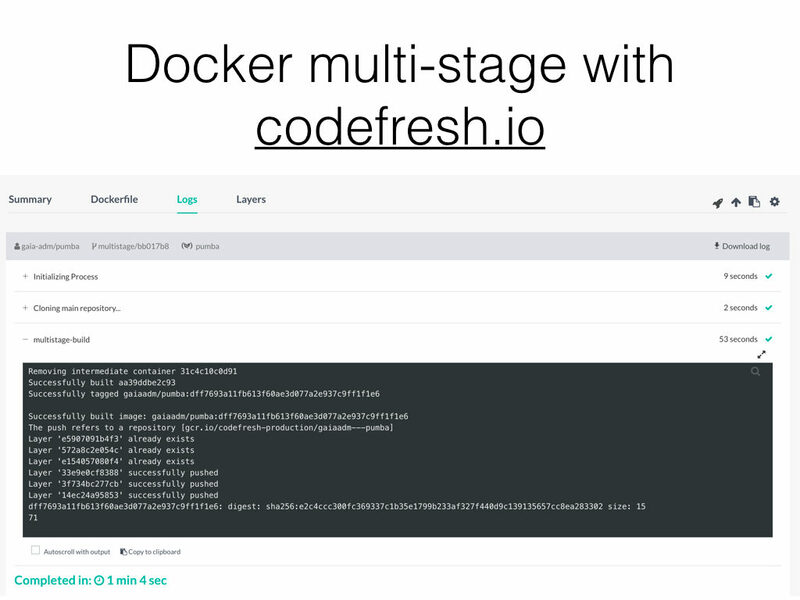 Currently, Codefresh is the only CI that supports Docker Multi-stage builds. You can try it for free using your private or public repo. For more information on how to use this feature, check out this blog post. Request a one-on-one onboarding session with our support engineers to configure your automated pipeline in Codefresh.